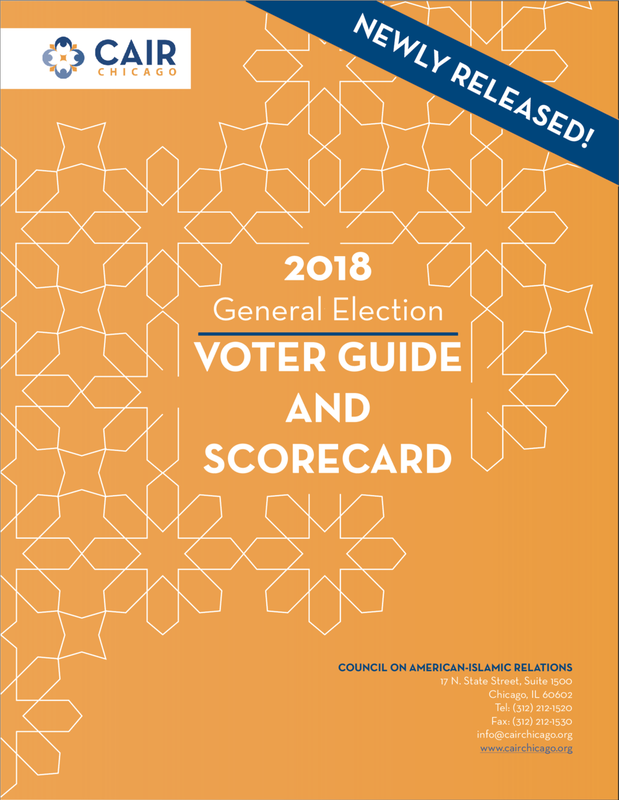 (Chicago, IL, 10/29/2018)—The Chicago office of the Council on American-Islamic Relations (CAIR-Chicago), today released a voter guide & scorecard ahead of the November 2018 Midterm elections. In the guide, voters can find a comprehensive list of candidates and a scorecard on their stances regarding Muslim-American issues. Available positions include: State Executive Officer, US House of Representatives, Illinois State Senate, and Illinois House of Representatives. Scorecards analyze stances held by the US Congress, Illinois Congress, The Supreme Court of the United States, and the White House. Click here to see the voter guide & scorecard. CAIR-Chicago staff will vote early on Tuesday, October 30th, 2018. Election Day for Illinois is November 6th, 2018. Polls are open from 6 AM to 7 PM. CAIR-Chicago encourages voters to vote early to avoid delays. Click here for election day locations.